Read our helpful guide to second hand BMW 528. AA Cars works closely with thousands of UK used car dealers to bring you one of the largest selections of BMW 528 cars on the market. You can also browse BMW dealers to find a second hand car close to you today. 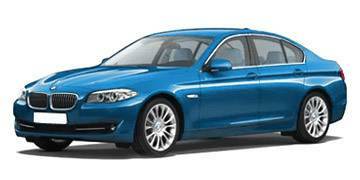 All used BMW 528 on the AA Cars website come with free 12 months breakdown cover. The BMW 528 is the smallest petrol option in the excellent, much lauded 5 Series, yet still manages to offer serious power and performance. With a 2.0 litre engine it might seem underpowered, but its 240bhp pushes it to a very brisk 60mph sprint in just 6.4 seconds while at the same time returning over 40mpg returns. Like its many siblings, the 528 is calm and assured on the road, tackling all but the most pocked of surfaces with comfort and ease. Its steering might not excite driving enthusiasts, but being smooth and easy it fits its cruising requirements very well. The compact engine might put many off opting for the 528, but its mix of performance and efficiency is easily one of the best and most surprising in the BMW range.